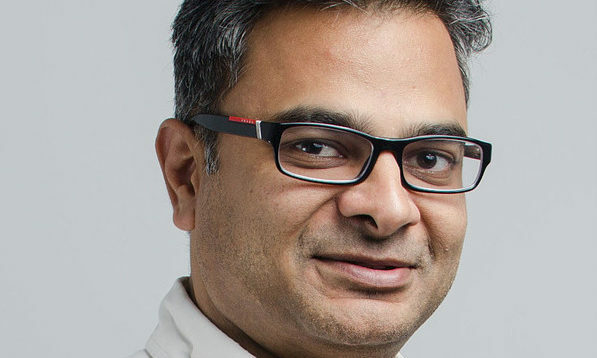 With more than 16 years of experience in advertising and media and specialising in digital marketing, Gaurav Gupta (pictured) has established the digital marketing practice for Circles.Life and is primarily responsible for a full-stack omni-channel strategy, planning and implementation to drive customer acquisition and improve the customer experience. Gupta aims to channel the focus on performance marketing with a thrust on programmatic buying, audience engineering and personalised marketing, while tapping web analytics/ad tracking tools for actionable insights. Prior to his time in Circles.Life, Gupta was with Havas as digital associate director. During his stint at Havas Media, he serviced clients such as Emirates, Accor Hotels, BNP Paribas and DBS Bank. In this edition of Tech in check, Gupta shares with Marketing the holy grail of digital marketing and ways to embrace digital. Marketing: What was your first digital role like? Ran dynamic ads insertion with Cron-based dynamically generated landing pages, to maximise relevancy and QS on SEM campaigns. Ran lead gen banner ads with embedded forms, making landing pages redundant. Even ran brand marketing with demand gen strategy of maximising onsite user engagement. This was only the beginning of the descent down the wondrous rabbit hole of digital marketing. Marketing: What was your biggest tech booboo? How did you overcome it and what did you learn from it? Digital marketing is the only response-based marketing, and performance marketing gives it the flexibility and nimbleness required to deliver maximised results. In my early days, when I was manning paid search campaigns, I once ended up overspending 80% on a monthly budget just because I wasn’t watching the console on a daily basis. This taught me a very important lesson – with the power of flexibility comes a responsibility to continually monitor and act on changing conditions or you may lose big! Marketing: What are some of the common challenges you face with digital today? The holy grail of digital marketing is targeting the right people, at the right moment, with the right message. But today’s digital marketing falters at the first step – because for the most part it still remains cookie-based marketing and cannot identify or target each individual. Massive drop from click to visit on site – Not all clicks on digital ads convert to visit on the site. This has become more pronounced with the onset of mobile ads. Ad Frauds – it is reported that as much as 30% of all clicks bought are machine generated, and standard ad viewability is around 40%. This means 60% of ads are charged to brands that users haven’t even seen. Attribution fallacy – Most brands succumbed to using whatever Google and Facebook dictates, which is the most archaic model called “last click” attribution. Same maker same checker – For the most part we are compelled to buy ads, run audience segmentation and report conversions all within the same platform also known as Facebook and Google; the two walled gardens. While Facebook will shamelessly take credit for most conversions under the garb of cross-device people targeting practice, Google will refuse to share data across the platform. In result, they cannot be independently verified. Single source of truth and lack of standardisation – Every digital marketing platform insists on using their metrics but can only show half-truth. You buy clicks from digital media but they cannot report the visits to the site, nor will they be responsible for the quality of those sites. Marketing: Are there any digital trends which excite you or that you are wary of? Our digital marketing has become increasingly intrusive because we have unsparingly tracked and targeted users with half-baked user proxies in the name of smart targeting. The result of that is, we have scared users of breach of their privacy and in turn losing credibility. Realising this, there is a new breed of marketers are ushering in the next revolution called “Omnichannel marketing”. It is a continuous engagement with each user across a combination of channels and content, personalised to the stage of a user’s purchase journey and delivered in a uniform yet consolidated manner. Or simply put – targeting the right person, at the opportune moment with a personalised message that would give the answers to the questions the user hasn’t even asked! A few technologies that I am tracking and that can facilitate omnichannel marketing is Customer Data Platforms such as Tealium, Lemnisk, Redpoint or integrated decisioning platforms such as Adobe Experience cloud. These platform promises to give a unified view of the user, identify and segregate them with high intent signals to convert, activate these high intent user segments to maximise conversions and in effect, we will push ads to users based on their intent, at the most contextually relevant touchpoint with the offer they can’t refuse! Marketing: Any top tips for marketers and brands embracing digital? Keep eyes on the prize and ears to the ground. Let intuition guide you and data back you. Identify near truth conversion attribution that is best suited for your business. User engagement on meaningful brand actions is the real reflection of brand equity. Identify key segments – start with the foundation and build richer segments. Know your customer well and have a disciplined approach to suppression strategy. Aggregate data – with right partnerships, be it to stitch fragmented ID or to enrich audience personas. Data partnerships are only democratised way of making your audience targeting efficient at scale. Deploy mass personalisation – mapped to their life-cycle & channel preference. Test Fast & fail quickly – Always keep 20% bandwidth free for Testing newer hypothesis and scouting technologies. Where do you want to go? How will you get there? How would you know you have reached? Dairy Farm has tapped Edelman for the launch of its new retail venture Jasons Food & Living, which opens today at Causeway Bay's n.. He takes over from Joan Koh, who was MD of Singapore and Malaysia. ..
Chinese people is optimistic about the impact of digital technology and artificial intelligence (AI) on daily life, but there is a..